Clomid (generic name: clomiphene citrate) is a medication commonly prescribed to treat infertility in women. It stimulates hormone production in the female body, promoting ovulation (the growth and release of a mature, viable egg to be fertilized). It’s one of the most common female infertility drugs, but did you know that it can be used as a replacement for testosterone ? 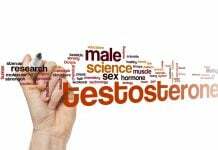 For men who are unable to continue with testosterone replacement therapy (TRT) or who want to attempt to jumpstart their testosterone production, it may be a viable alternative. 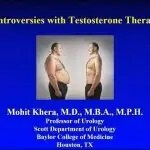 When patients suffer negative side effects as a result of TRT, doctors will usually recommend that they stop taking the testosterone and other androgen hormones. 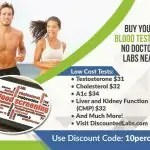 However, this only deals with the immediate problem (the side effects) without considering the hypogonadal state the body returns to after you cease the testosterone therapy. One of the primary problems that affect people coming off of TRT includes Hypothalamic-Pituitary-Testicular Axis (HPTA) dysfunction. HPTA dysfunction basically means that the testosterone supplementation has prevented your body from releasing testosterone on its own. The treatment reduced Luteinizing Hormone (LH), suppressed follicle stimulating hormone (FSH) levels, and caused reduced spermatogenesis (reduction in the production of sperm). HPTA dysfunction is a problem that affects those on TRT, but for those coming off TRT, the HPTA dysfunction can become even more pronounced. 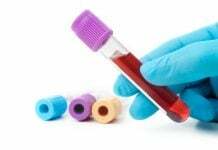 The patients may once again suffer symptoms of hypogonadism (fatigue, low libido, ED, low mood, ectc) , and the symptoms can last for weeks or even for months at a time. Some men use anabolic steroidsto increase their muscle mass, but all that mass will be lost as a result of ceasing the these agents that, like TRT, also affect the HPTA. If a specific medical protocol isn’t followed to normalize HPTA, it can lead to lomhg-term hypogonadism. Taking Clomid has proven to help increase testosterone levels in men–both normal men and those suffering from hypogonadism. 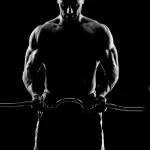 In one study, Clomid helped to increase not only testosterone levels, but also the levels of upstreamhormones LH and FSH. Sexual function didn’t improve as a result of the medication, but it did combat some of the othernegative side effects of hypogonadism. One study from 2013 examined the use of Clomid as a treatment to help restore normal hormone function among men who have had exogenous (outside) testosterone administered–via TRT. Note: This is an off-label use for Clomid. Your doctor may hesitate to consider it as a treatment option. At the same time, the researchers measured sperm parameters. 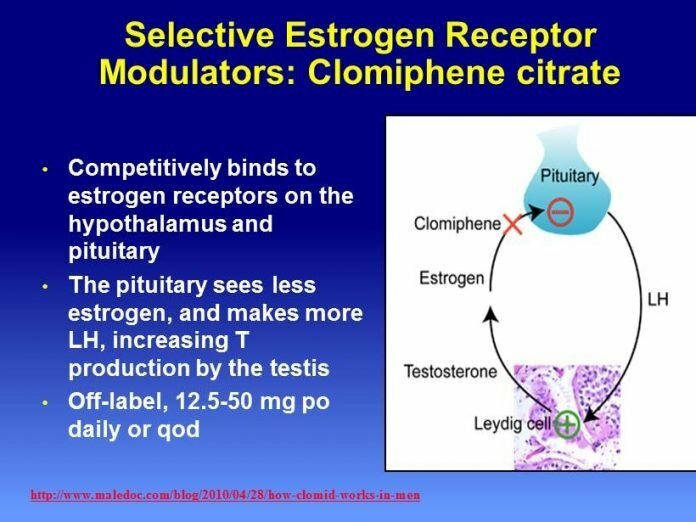 This was to determine if the Clomid treatment had any effect on fertility, not just testosterone levels. Six months after the 12 patients in the study stopped taking the topical testosterone and began the treatment of Clomid, the men’s total testosterone levels had risen from 100-220 pg/dL to 285-810 pg/dL–a 400% increase in some cases (I do not like exclamation points) Clomid failed to increase the levels of FSH and LH (really? ), but it raised the sperm counts of the men undergoing the treatment, even after six months. However, this was only the case with Clomid, rather than the topical testosterone gel treatment. The results of this study speak for themselves: Clomid can be a viable alternative to hypogonadal men who are looking for a treatment other than topical testosterone. The men who underwent Clomid treatment experienced a sharp rise in their sperm count and total testosterone levels. While their FSH and LH levels didn’t increase, the Clomid treatment helped to restore almost-normal testosterone in the blood. The treatment helped to normalize HPTA, reducing the side effects of coming off TRT. 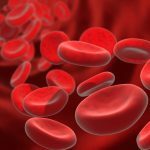 If you are noticing negative side effects of TRT and are looking for another safe option, it may be a good idea to consider Clomid. It provides a viable alternative to those who are trying to combat hypogonadism, but are unable to continue taking exogenous testosterone. 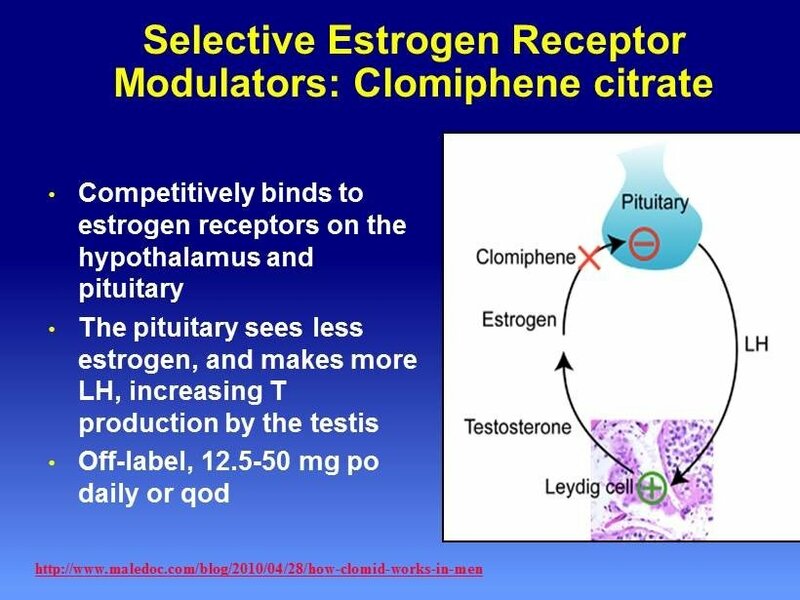 However, it is still unclear if Clomid may improve low libido in men using it as a form of TRT.